Adobe has announced its Digital Publishing Suite today, with support of Apple’s next generation iOS 5 feature of “Newsstand”. 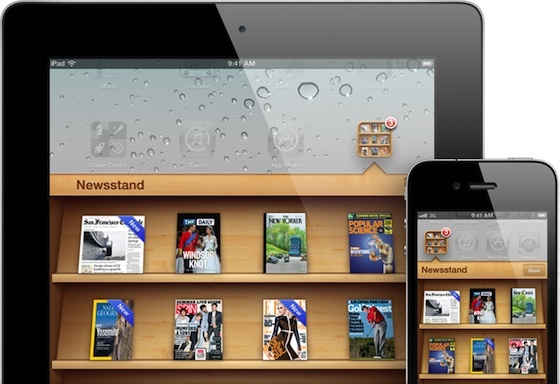 Newstand is introduced as a organization hub for publications through which publishers can serve their words to users iOS devices, without bugging it to download separately. Newsstand automatically downloads the content and provides an easy way to access the content. Adobe has released publisher software in act to allow publishers to create digital editions of their magazine and newspaper applications and sends out the content through Newsstand efficiently to iOS users. The compatibility will launch “soon after” Apple debuts iOS 5, which is expected sometime this fall. Publishers will be able to use Digital Publishing Suite to create files that are detected by Newsstand and automatically downloaded to the Newsstand shelf, eliminating long download times which can present a barrier to reading content on iPad devices. Applications built with Adobe Digital Publishing Suite and enabled for Newsstand will allow publishers to better merchandise their content with support for Newsstand push notifications and icon covers displayed on the Newsstand shelf, reflecting the latest issue of the magazine or newspaper. Number of publishers including some main source Conde Nast and Reader’s Digest have already start adopting Adobe’s Publishing software to polish their content in digital edition and serve it to iOS users through using Apple’s iOS 5 Newsstand.